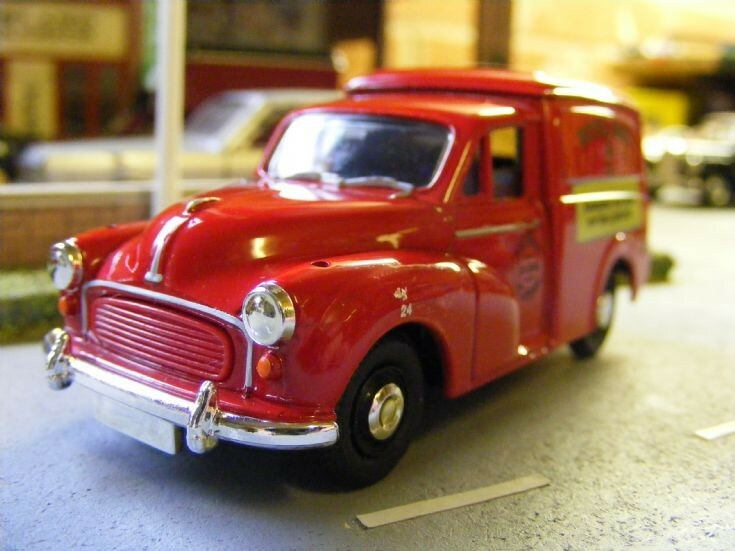 Another Morris Minor 1000 6cwt panel van from Vanguards in 1:43rd scale and another variation of the Royal Mail van. This one carries the Postcode advertising which was introduced between 1959 and 1974. The van requires finishing, number plates, wing mirrors and some paint detailing.